Whidbey Shores is located on East Point just north of Langley on Whidbey Island. The Puget Sound is on two sides of the point, providing spectacular views north toward Mount Baker, as well as south and east, with Camano Island, Everett and the Cascade Mountains. To the west is Baby Island, and breathtaking sunsets. Whidbey Shores waterfront real estate is also about making the most out of island and beach life. You’re likely to find homes with large windows to take advantage of those jaw-dropping mountain and water views, and you may even have a front row seat for watching that whales that are often spotted breaching in early spring. Be sure to bring your water toys, as you may have your own boat launch too – if your property doesn’t include one a community boat launch will get you out on the water in no time. With Whidbey Shores waterfront real estate, you’ll be ideally situated for trips to and from the mainland as well, with the Clinton/Mukilteo ferry just a 20-minute drive away. Just minutes away in the waterfront village of Langley, you’ll find a wide range of shops from arts and crafts to antiques, candy stores and fashions, as well as multiple eateries from casual to fine dining. There are two farmer’s markets as well, the Bayview Farmers Market on Saturdays from late April through late October, and the Langley Second Street Market, held on Fridays, May through September. Whidbey Shores waterfront real estate is highly desirable with its ideal combination of magnificent views, outdoor adventure opportunities, location and rich sense of community. You’ll find everything from quaint cottages and cabins that are ideal for a vacation home or investment property as well as luxurious custom-built homes with views from every room. 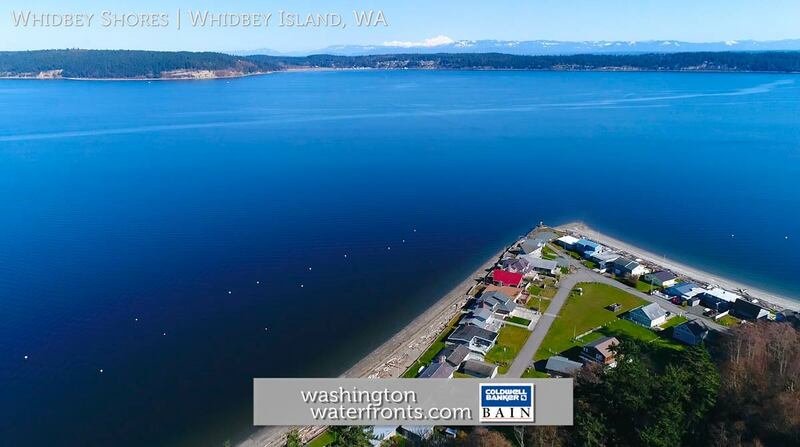 Take advantage of our industry-leading tools to make your property search as easy as possible and be sure to register for a FREE account so that you can receive email alerts whenever new Whidbey Shores real estate for sale hits the market. If you’re seeking to sell your Whidbey Shores property, contact our Waterfront Specialists directly for a comprehensive listing analysis and to learn more about the cutting-edge marketing strategies we’ll use to sell your home quickly for top dollar!